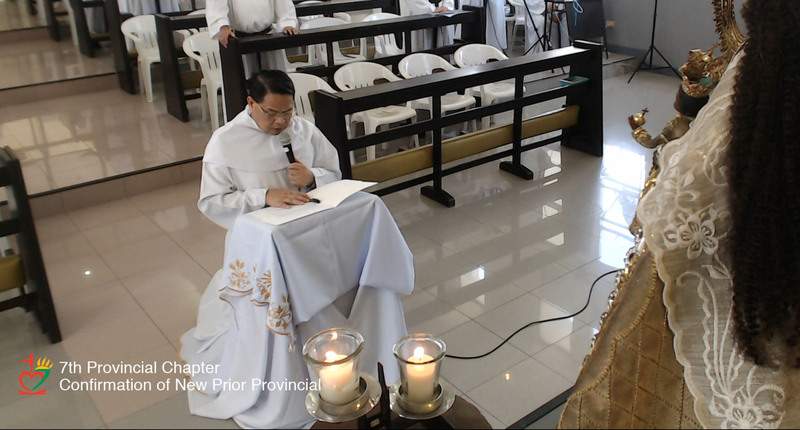 CEBU CITY—The 7th Provincial Chapter has spoken today, re-electing Fray Dionisio Selma as the Prior Provincial of the Province of St. Ezekiel Moreno. 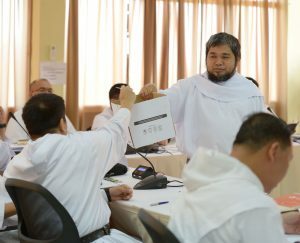 Thirty-six hours earlier, the results of the canvassing for the Prior Provincial was published and Fray Selma led the ternary with a wide margin of confidence from among the 146 voting religious of the Province. Tailing behind him were Frays Leander Barrot and Lauro Larlar. During the final phase of the election held inside the Chapter Hall at 10:30 A.M. today, the 27 Capitulars have picked out from among the three “a Prior Provincial who will lead us towards renewal, unity, and charity,” as their prayer goes. With just the first round of election, the scrutiny of the votes done through secret ballot disclosed immediately that the absolute majority was already obtained. Fray Selma got 22 votes while Frays Barrot and Larlar garnered 3 and 2 votes, respectively. In his brief speech of acceptance inside the hall, Fray Selma expressed his unworthiness for the office, but in the spirit of service and availability for the Province and the Order, he is placing all his trust in God’s mercy. Towards noon, the rite of “toma de posesión” took place at the chapel. Fray Miguel Miró, prior general and president of the Chapter, confirmed the newly-elected “major superior” of this youngest of the four provinces of the Order. He handed over to Fray Selma what the latter turned over to him earlier inside the Chapter hall—the seal of the Province. As the seal reminds him to exercise authority with prudence and wisdom, the whole event acquired an even more profound nuance as this milestone is linked to the liturgical celebration of the day, feast of the Chair of St. Peter. 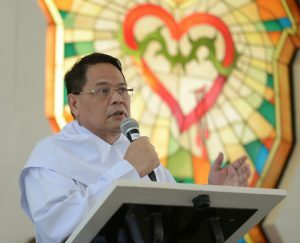 Fray Selma, or “Father Diony” to many, will lead the Province for four years, from 2018 to 2022. Congratulations and God bless you, Father Prior Provincial! Congratulations, Fr. Diony! God bless you! Our Congratulations and prayers are with you, Fr. Provincial. Enhorabuena, P. Diony! You will have the challenging task of leading your brothers and the Province of St. Ezequiel for the next four years. More power to you and praying for your success. As the Province remains in your good hands, it will grow. You are the right leader at the right time! God bless you all. Saludos a mis hermanos (les echo de menos). From the one and only Leo Jaboni (the holy class of 1973) now in the windy city of Chicago. Congratulations Fr. Diony! May God bless you and all your endeavours!